The Golden Gate Opera, which is based just north of San Francisco in Marin County, will be celebrating the Diwali Festival of Light with a concert on Sunday, October 30. 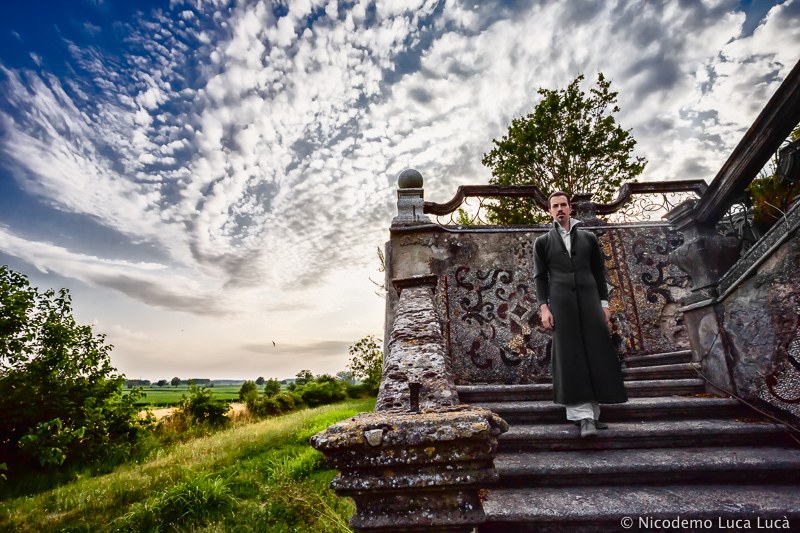 It will feature barihunk Richard Rittelmann, soprano Shawnette Sulker and mezzo-soprano Alexandra Jerinic. The concert celebrates the 20th anniversary of the company. The trio will sing music from Léo Delibes' Lakmé. The reception begins at 3 PM and the concert an hour later. Tickets and information is available online. The company will also be presenting the West Coast Premiere of Gian Carlo Menotti’s The Boy Who Grew Too Fast, which was canceled last year due to a staff emergency. Keep an eye on our site for times and dates. Proceeds from the opera will used to bring the anti-bullying message to the Marin County Schools. Rittelmann will perform the role of Dr. Schrink, who helps the boy. Our new 10th Anniversary Barihunks in Bed calendar is now on sale and it's our hottest one ever. Click on the Lulu button now to secure your copy. Polish barihunk Łukasz Karauda is performing the role of Bartley in Ralph Vaughan Williams Riders to the Sea at the Wexford Festival. The opera opens today and is sold out. There are additional performances on October 31st, November 3th and 6th. The central role is that of Maurya, who by the end loses her husband and six sons to the sea, experiencing a kind of cathartic release when her last son’s death leaves her with nothing more to fear. Realising that the sea can hurt her no longer, Maurya concludes, ‘No man at all can be living for ever, and we must be satisfied’. All this is evoked by Vaughan Williams in music that captures the flinty harshness of the islands and fierce marine brutality. But the theme of mankind against nature –taken to extremes in his Sinfonia Antarctica – always brought out the best in the composer. Karauda sings the role of Bartley, the youngest of Maurya's six sons, who becomes the sole support of the household after her other sons are lost at sea. He earns income by riding horses into the sea to the steamer anchored far offshore, so that they can be sold at the mainland fair. Preoccupied with practical exigencies, he ignores his mother’s request that he not go to sea. He nevertheless asks God’s blessing on the family and rides off on the red mare, leading the pony. Łukasz Karauda is new to this site. He graduated from the Royal Welsh College of Music and Drama and is a recipient of a Bryn Terfel Foundation award. 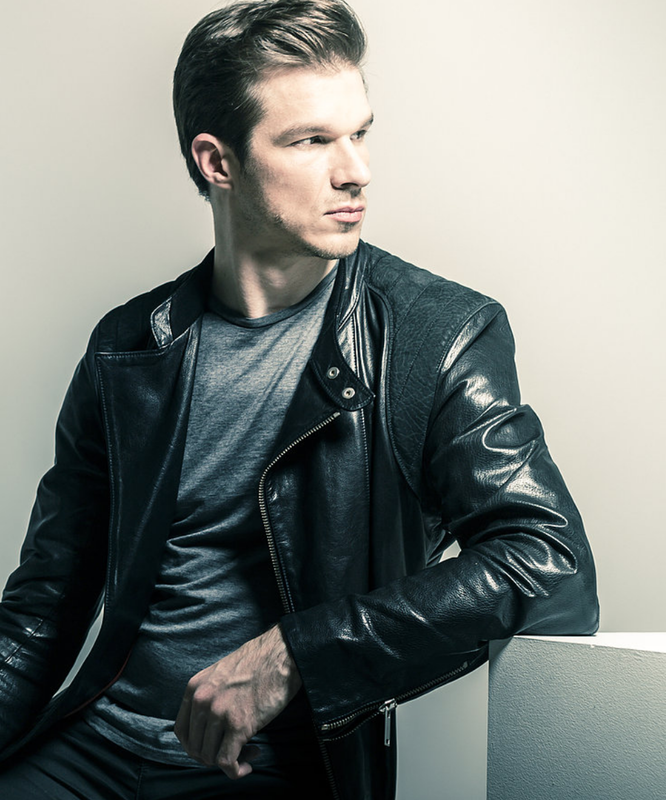 He was also tutored by fellow Polish barihunk Mariusz Kwiecien. 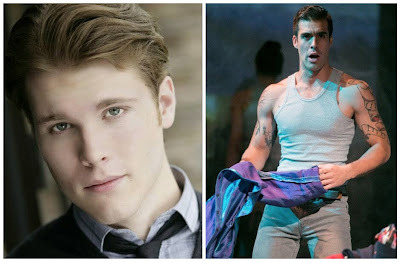 Back in August, we featured barihunks Nathan Stark, Gabriel Preisser and Brian James Myer who were performing "The Three Baritones" concert for Opera Orlando's annual "Opera in the Park" concert. 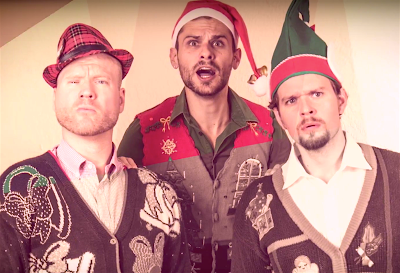 Now they're back for a "Three Baritone Christmas" concert and a new CD of holiday favorites. The CD will be out by Nov 21st and available for purchase on CD Baby, iTunes and Amazon. They will be performing on the other side of the country in Bellevue, Washington at Resonance in the SOMA Towers on December 1st and 3rd. Tickets are available HERE for the first show and HERE for the second performance. They will also be performing music from opera and Broadway. 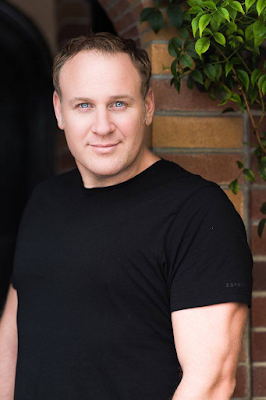 Brian James Myer will be appearing with Opera San José as Figaro in Rossini's Barber of Seville from November 12-22 and Ponchel in Kevin Puts' Pulitzer Prize-winning opera Silent Night from February 11-24. Fellow barihunk Colin Ramsey will be singing Basilio in the Barber of Seville, while the cast of Silent Night includes a veritable feast of barihunks and hunkentenors, including Kirk Dougherty as Nikolaus Sprink, Ricardo Rivera as Lt. Audebert, Matthew Hanscom as Lt. Gordon, Kyle Albertson as Lt. Horstmayer, Colin Ramsey as Father Palmer, John Lindsey as Jonathan Dale, Nathan Stark as General Audebert, Christopher Bengochea as Kronprinz, Branch Fields as William Dale and Vitali Rozynko as the British Major. The Barihunks in Bed calendar, which celebrates our 10th Anniversary is now on sale. Get your copy before the holiday rush by clicking on the lulu button. 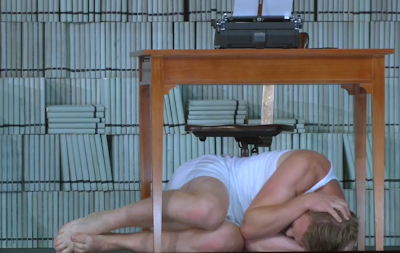 Bass-barihunk Brad Walker will return to the San Francisco Opera's successful SF Opera Lab pop-up on Halloween eve. The last pop-up was held at a mortuary turned night club and the latest will be hosted by legendary drag diva Heklina at the OASIS night club. Walker will be joined by soprano Julie Adams and tenor Brenton Ryan, who he is appearing with at the San Francisco Opera in Janacek's Makropulos Case. Also performing will be mezzo-soprano Renée Rapier and pianist Jennifer Szeto. Walker is a first-year San Francisco Opera Adler Fellow and graduate of the 2015 Merola Opera Program, where he appeared as Betto in Puccini's Gianni Schicchi. 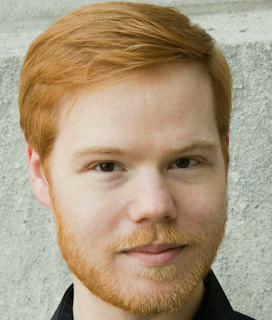 He has been an apprentice with Des Moines Metro Opera, Chautauqua Opera Company and Lyric Opera of Kansas City, and received an award in the Metropolitan Opera National Council Auditions. Attendees to the SF Opera Lab are encouraged to come in costume or visit the costume booth provided by the San Francisco Opera Costume Shop for a chance to win SF Opera Lab swag and tickets. The performance begins at 8pm (doors open at 7pm) and the party continues after the show with a live DJ. This event is 21+ only with valid photo ID. Tickets are $25 advance at sfoperalab.com and you must be older than 21 years of age. Bass-barihunk André Courville will perform as part of Opera at Florham's "A Cornucopia of Opera and Song" on November 6th at Lenfell Hall on the campus of the College at Florham of Fairleigh Dickinson University. Courville will perform Gounod's “Vous, qui faites l'endormie” from Faust. He performed the role of Méphistophélès in Faust while at the cademy of Vocal Arts in Philadelphia, where he is a resident artist. 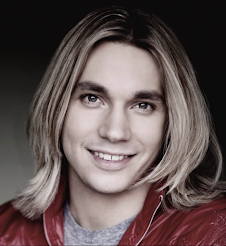 He'll be joined by soprano Mia Pafumi and tenor Piotr Buszewski. Tickets can be ordered by calling (973) 443-8620 or on the website at www.operaatflorham.org. Last season Courville debuted at Carnegie Hall in the Opera Orchestra of New York's acclaimed production of Donizetti's Roberto Devereux and as Monterone in Verdi's Rigoletto with the Caramoor Summer Music Festival. Courville also recently won first prize at Opera at Florham’s 2016 Violetta DuPont Competition. He'll also be performing at the Licia Albanese-Puccini Foundation 42nd Anniversary Gala Concert on October 23 at Rose Hall at Lincoln Center and will reprise Monterone with the Academy of Vocal Arts from November 5-15. 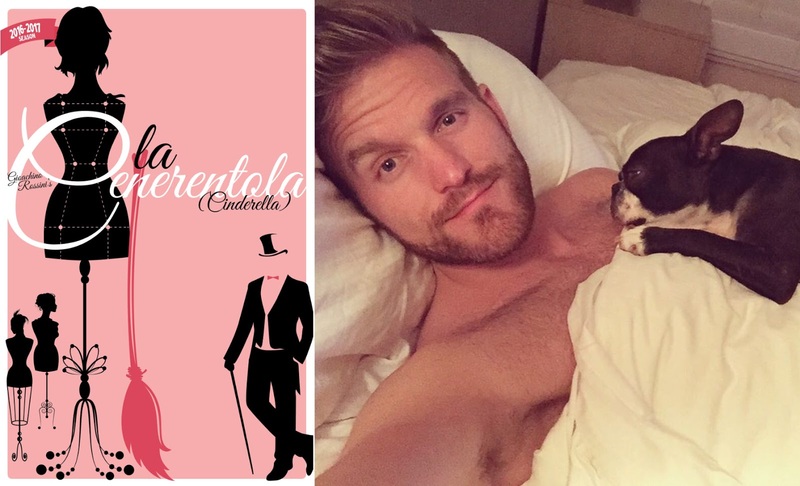 Don't forget to order you 2017 Barihunks in Bed calendar. Our 10th anniversary edition is the HOTTEST ever. Click HERE to order your copy now and enjoy 12 months of the hottest men in opera. Bass-Barihunk Cody Quattlebaum was one of 12 singers who advanced at this week's Metropolitan Opera National Council Eastern Region District competition. In June, he took home $5,000 for winning the James Toland Vocal Arts Competition in Oakland, California. He finished his summer as a participant in the prestigious Merola Opera Program across the Bay in San Francisco. He'll be joined by two other baritones, as both Lawson Anderson and Michael Gracco advanced. Others who made the cut includes sopranos Heather Bobeck, Mary Claire Curran, Betsy Diaz, Anna Dugan, Emily Misch and Julia Wolcott, mezzo soprano Samantha Hankey, tenor Jonathan Tetelman and countertenor Aryeh Nussbaum Cohen. (BTW, don't miss any chance to hear Cohen, who possesses one of the most beautiful and thrilling countertenor voices to emerge in a decade). Encouragement awards went to bass-baritone Derrell Acon, soprano Alaysha Fox, mezzo-soprano Kirsten Scott and soprano Yesul Yeon. We'll be keeping our eye on Acon! The dozen winners will move on to the Region Finals on January 18th at Merkin Hall in New York City. 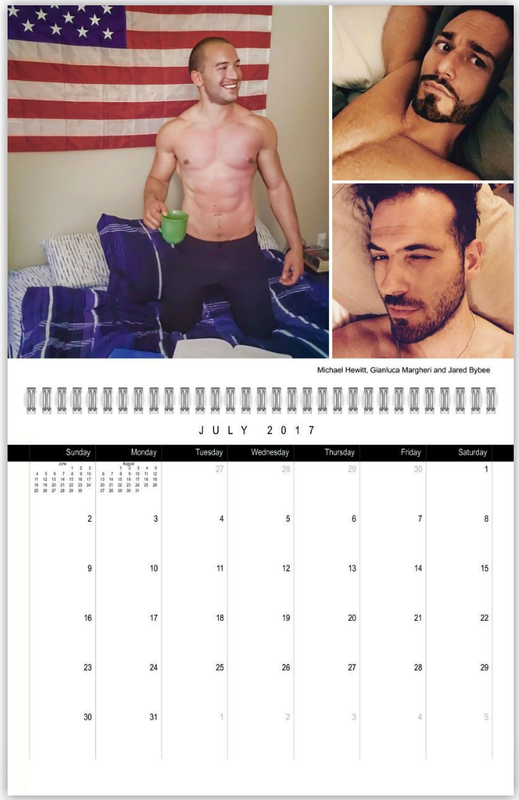 The 2017 Barihunks in Bed Calendar is on sale and is available HERE. Kuwaiti born barihunk Tareq Nazmi will make his Carnegie Hall debut on October 24th performing in Mozart's Requiem in D Minor,” K. 626 and Bach’s Magnificat in D Major, BWV 243 in a 1733 revision of the original, in E-flat Major, BWV 243a, which was written ten years earlier. He'll be backed by the KlangVerwaltung Orchestra and Chorgemeinschaft Neubeuern Chorus and soloists soprano Susanne Bernhard, mezzo-soprano Anke Vondung and tenor Daniel Johannsen. Tickets are available online. He also had two role debuts this year, Zaccaria in Giuseppe Verdi’s Nabucco in St. Gallen in April 2017 and Basilio in Gioachino Rossini’s Barber of Seville at Berlin’s Komische Oper in July 2017. You can hear samples of his singing on his website, including Tuba mirum from Mozart's Requiem. Click HERE. Tareq Nazmi has been a permanent member of the Bavarian State Opera since the 2012-13 season where he's performed the Minister in Beethoven's Fidelio, Masetto in Mozart's Don Giovanni, the Speaker in Mozart's The Magic Flute, Colline in Puccini's La bohème, Silvano in Cavalli's La Calisto, Mitjucha in Mussogsky's Boris Godunov, First Nazarene in Richard Strauss' Salome, Zuniga in Bizet's Carmen, Truffaldin in Richard Strauss' Ariadne auf Naxos, Obrist in Bernd Alois Zimmermann's Die Soldaten, and Astolfo in Donizetti's Lucrezia Borgia. Don't forget to order you 2017 Barihunks in Bed calendar, which is now on sale by clicking HERE. Barihunk Michael Hewitt is raising money for an event called The Decath10n , which raises money for pediatric cancer research. Hewitt is specifically raising money for the University of Texas MD Anderson Cancer Center in Houston. 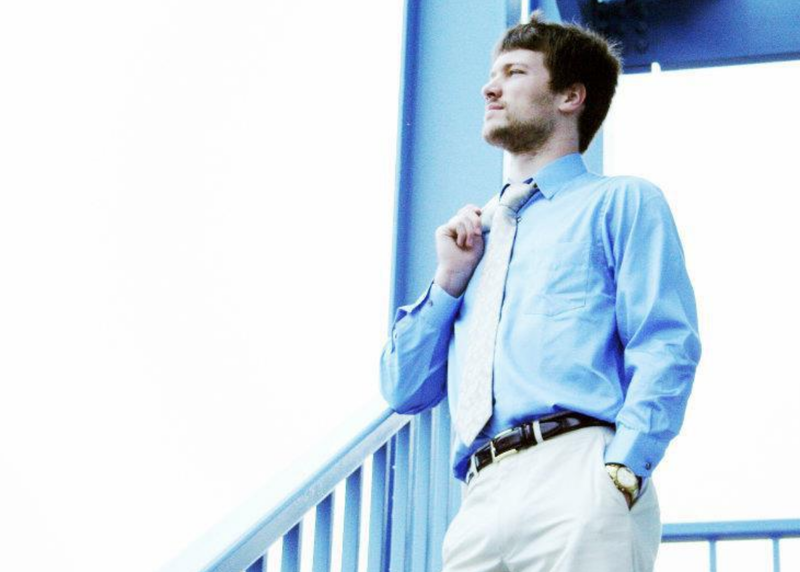 He has to raise $2,500 to compete in the Decathlon, although the ever-competitive singer has set his goal at $7,000. If he doesn't reach his goal, he can't compete in the challenge, which includes ten events that he's been training for over the last few months. 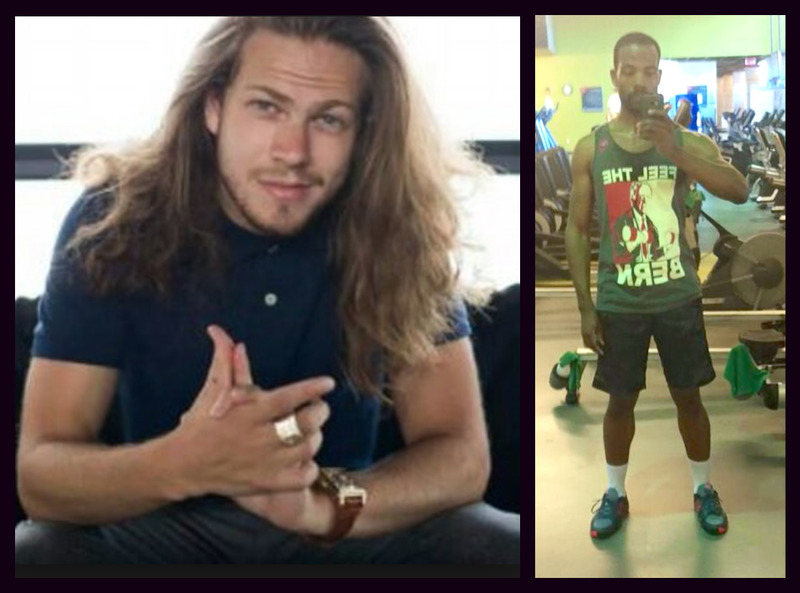 The Barihunks family would like to help him reach his goal and is hoping that our readers will chip in. Go to his Decath10n page and support him in this noble effort. Michael is also featured in July in our 2017 "Barihunks in Bed" calendar. We will donate any money from calendar sales in the next 48 hours to his Decath10n effort, so donate now. Click HERE to order your calendar. Aaron Sørensen, who is featured in our new 2017 Barihunks in Bed calendar, will be returing to his signature role of Sarastro in Mozart's The Magic Flute, which opens the new Fargo-Moorhead Opera season. Performances are on October 28 and 30 and cast information and tickets are available online. The production is updated to a STEAMPUNK theme, a subgenre of science fiction that incorporates technology and aesthetic designs inspired by 19th-century industrial steam-powered machinery. In this production, Tamino is an intrepid Victorian-area explorer who stumbles into the frozen realm of the Queen of the Night. 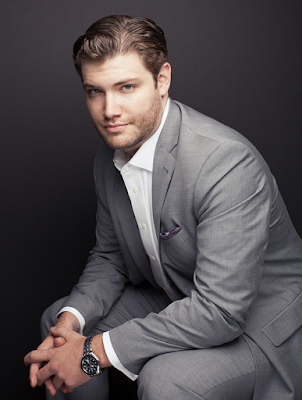 Upcoming roles for Sorensen include the title role in Donizetti's Don Pasquale with Brava! Opera in Medford, Oregon, and Leporello in Mozart's Don Giovanni with Kalamazoo Symphony. Sørensen appears in October in our new calendar along with Edward Miskie and Glenn Ayars. The calendar is available for purchase HERE. Italian bass Andrea Mastroni will open the new season at La Fenice on November 4th with the world premiere of Filippo Perocco's new opera Aquagranda. The opera recalls the 1966 tragedy when the sea level rose 194 cm (6.4 feet) and flooded Venice. 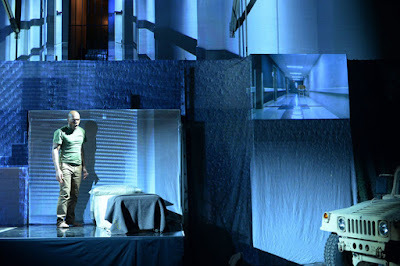 Librettists Roberto Bianchin and Luigi Cerantola set the opera on the island Pellestrina, which was hit the hardest by the rains and winds. The opera marks the 50th anniversary of the floods that caused 3,000 people to flee the city. Mastroni sings the lead role of Fortunato in the opera, which was written for a true bass. It includes a madrigal for Fortunato, Acque, atroci acque, which is one of the emotional highlights of the piece. Mastroni's character also has a scene where he tells his son Ernesto that people cannot escape due to the rising tides. Venice, as city of canals, has regularly been affected by rising sea levels, known as Acqua alta, but the 1966 levels were almost unprecedented and devastated much of the city. The flood left thousands of residents without homes and caused over six million dollars worth of damage to the various art throughout Venice. The city remained isolated for 24 hours with more than 75% of businesses, shops, and artisans' studios either seriously damaged or destroyed completely. Performance run until November 13 and tickets are available online. Mastroni returns to the Metropolitcan Opera after his run in Venice, where he will sing Sparafucile in Verdi's Rigoletto. Performances are on January 20, 26, 30 and February 4th and tickets and cast information is available online. The 2017 Barihunks in Bed calendar is now on sale. Purchase your copy here. Barihunks Austin Sanders and Reuben Lillie were two of the four singers to advance in today's Metropolitan Opera Upper Midwest Region National Auditions. The other two singers to advance were soprano Emily Pogorelc and soprano Ariana Douglas. Baritones Nathaniel Hill and Joshua Cook both received Encouragement Awards. Austin Sanders, a native from Onalaska, Wisconsin, is a Baritone in his final semester at Viterbo University as a student of Daniel Johnson-Wilmot. Austin just finished performing Acis and Galatea this October and he starred as the role of Polypheme. He’s also been Ko-Ko in The Mikado, Don Magnifico in La Cenerentola, and Don Annibale in Il campenello di note throughout his time at Viterbo. He placed second at the NATS competition last year, a finalist and an honorable mention at the Schubert Club Audition, and received an encouragement award at the MONC Auditions as well. Reuben Lillie is a singer, composer, and scholar of music and theology. His stage credits include performances with The Santa Fe Opera, Sugar Creek Opera, and Des Moines Metro Opera in addition to concerts throughout Chicago. He is a graduate of Olivet Nazarene University's School of Music and the Chicago College of Performing Arts at Roosevelt University. Reuben recently completed his Master of Divinity studies at McCormick Theological Seminary with The University of Chicago Divinity School. Canada's National Post has written a feature on the barihunk phenomenon, which includes extensive comments from site co-founder Jack Michaels. Canadian barihunks Philippe Sly and Phillip Addis are mentioned, along with Italian bass-barihunk Luca Pisaroni and Germans Marco Vassalli and Malte Roesner. 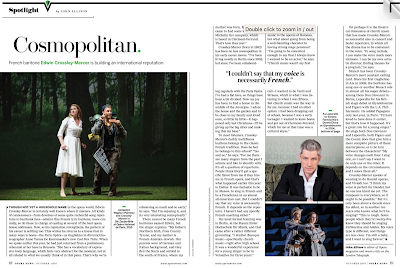 The article mentions our charity calendar, which has funded numerous projects for low voices, including the West Coast premiere of Ricky Ian Gordon's opera "Green Sneakers" and Marco Vassalli's U.S. debut. 2017 will mark the tenth anniversary of the site, which was originally conceived as a fan site for Dmitri Hvorostovsky and Mariusz Kwiecien. Author Catherine Kustanczy does a great job of explaining that the "hunks in opera" phenomenon predates the creation of Barihunks almost a decade ago. She cites such historic opera figures as Cesare Siepi, Theodor Uppman, Jose Carreras, Placido Domingo and Samuel Ramey, who all were operatic "pin up boys" decades ago. You can read the entire article online. We've been following barihunk Edwin Crossley-Mercer since early in his career, mesmerized by his good looks, dark creamy voice and charming stage presence. 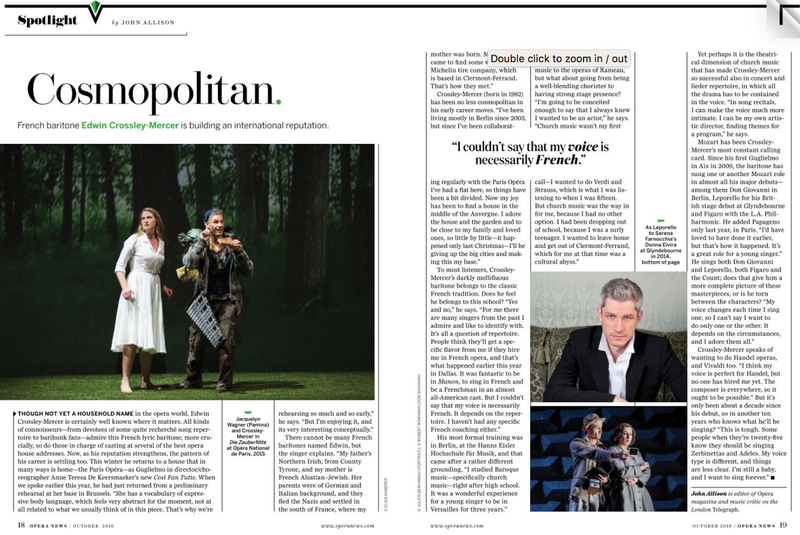 The singer, who is Northern Irish on his father's side and French Alsatian–Jewish on his mother's side, has rapidly emerged as a major talent in the world of opera. He is so popular with our readers that we asked him to appear in our upcoming 2017 "Barihunks in Bed" calendar, which he graciously agreed to do. We hired a photographer in France to take a photo and made him our December feature, since his stunning prematurely gray hair evoked a perfect wintry night. You can purchase a copy online. He next appears as Polydorus with the Scottish Chamber Orchestra in Berlioz's L'enfance du Christ on October 20 in Edinburgh and October 21 in Glasgow. He'll be joined by bass-barihunk Jérôme Varnier as Herod (who also appears in this year's calendar in April).The performance is conducted by Emmanuel Krivine and tickets are available online. On November 5th, he'll appear at the Deutsche Oper Berlin's 22nd Grand Opera Gala in support of the AIDS Foundation. 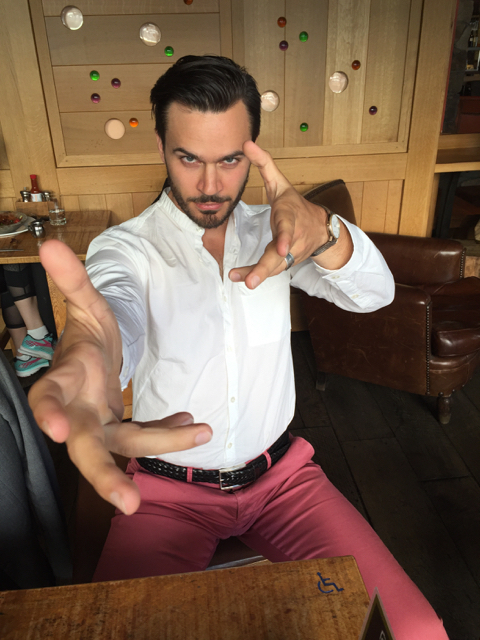 The event also features fellow barihunk Andrea Mastroni, Patrizia Ciofi, Gregory Kunde and a host of other operatic luminaries. Tickets are available online. LaMarcus Miller, who back in March sang the the leading baritone role in Tobin Stokes and Heather Raffo's Fallujah at the Long Beach Opera, will now reprise the role with the revamped New York City Opera. Performances run daily between November 17-20 at the Duke Theater in New York City. The opera was a co-commission between the two companies. Miller also sang in the workshop at the Kennedy Center, which was one of a series over the last four years including at Arena Stage, the Noor Theater in New York City and The Culture Project in New York City. Barihunk Jarrett Ott will be singing Dandini in Syracuse Opera's upcoming production of Rossini's La Cenerentola (Cinderella) on October 28 and 30. He first performed the role with the Curtis Opera Theatre while a student. He'll be joined in the cast by hunkentenor Jonathan Blalock as Don Ramiro, Corrie Stallings as Angelina, Peter Strummer as Don Magnifico and Adelaide Boedecker as Clorinda. Tickets are available online. Last October, Opera News named him one of the 25 rising stars of opera, calling his voice "polished and immaculately produced." On November 7, Ott will perform excerpts from Jake Heggie's new opera It's a Wonderful Life at the Solomon R. Guggenheim Museum in New York City. In 2017, he will make his major European opera debut at the Deutsche Oper Berlin singing the role of the Angel in the world premiere of Andrea Scartazzini's Edward II, directed by Christoph Loy. 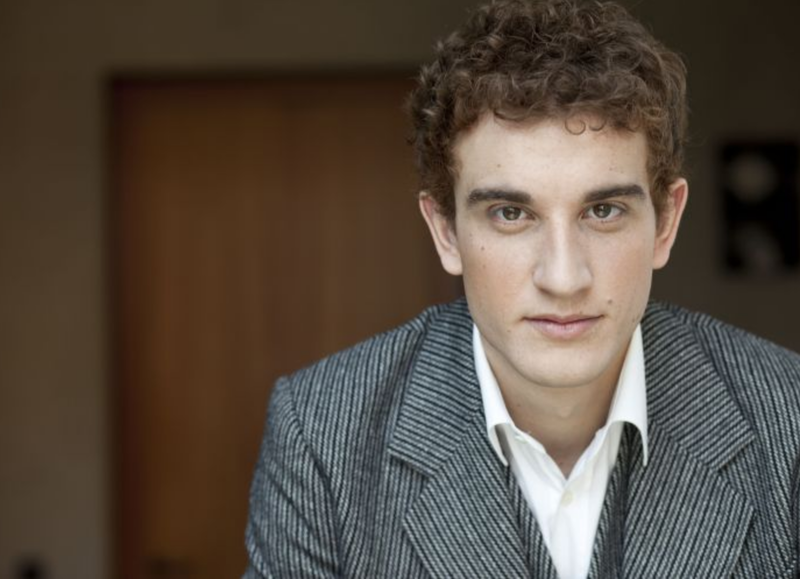 The title role will be sung by fellow barihunk Michael Nagy and will also feature hunkentenor Ladislav Elgr singing the role of his alleged lover Piers de Gaveston. Performances run from February 19-March 9 and tickets are available online. 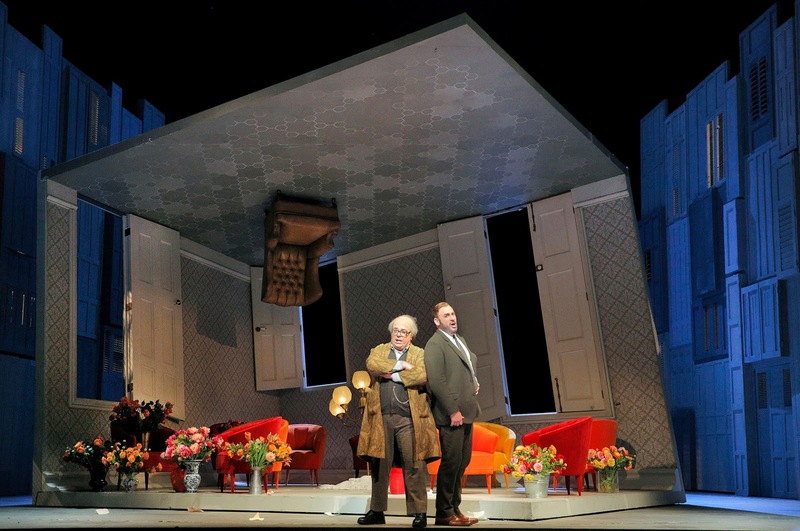 We recently had the opportunity to see Lucas Meachem as Doctor Malatesta in the San Francisco Opera's hilarious production of Donizetti's Don Pasquale directed by Laurent Pelly. We instantly noticed that Meachem not only sounded the best that we'd heard him in years, but he looked imposing and statuesque with his new physique. We later learned that he'd lost 45 pounds (20.4 kilos). 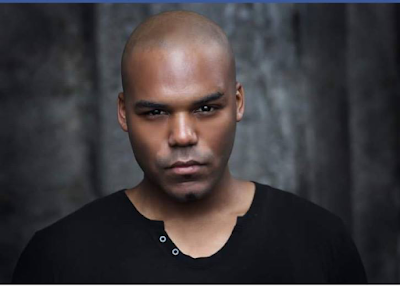 Meachem has two more performances of the opera on October 12 and 15 (tonight's performance will be sung by fellow barihunk Edward Nelson). The cast also includes the brilliant Maurizio Muraro in the title role, Lawrence Brownlee as Ernesto, Heidi Stober as his lover Norina and Bojan Knežvić as the Notary. Tickets are available online. We decided to ask him about his new physique and here is what he had to say. 1. What prompted the weight loss? This past January, my doctor discovered that I had high cholesterol and he advised me to do something about it. Searching for solutions, my wife introduced me to some documentaries on health and the environment that had a lasting impact on me. It opened my eyes. 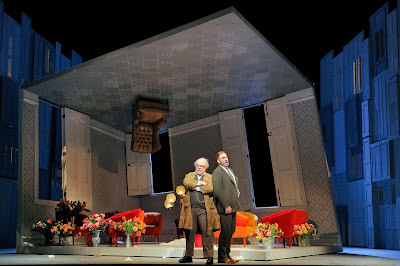 Alternatively, with the advent of the Met HD and various opera publications, I had to accept that opera has become more visually intensive than in the past. I felt like I was missing out on roles, even losing some roles because of my looks or size. For whatever the reason, I was left out of casting decisions because I didn't look the part. I wanted to make a change and eliminate that factor for any casting director or company. I felt like I deserved more for the voice I had and the body I didn't. "The fact is it's easier to change yourself than the system. So instead of resisting, I decided to change myself." I don't like any of the discrimination shown towards larger singers, men and women alike. It is a conversation I've had with opera singers around the world and I sympathize with them. I know this can be a disheartening thought but in this competitive industry, body image ends up being a deciding factor sometimes rather than one's true talent. I've been a Barihunk and I've been a Barichunk but the thing that's always been there is my voice. I used to rail against the system for it's unfairness that weight is even an issue when it came to my voice. For me vocal prowess should be the main determining factor of an opera singer but I realized that I couldn't play by those rules anymore. The fact is it's easier to change yourself than the system. So instead of resisting, I decided to change myself. 2. How did you do it.I became a vegan. As a vegan, I eat a plant-based diet. I center my meals around vegetables and go from there. I cut out dairy, meat, eggs, sugar, and alcohol. I also cut out carbs after 4pm and try to eat an early dinner. That's tough with a performing schedule where I'm done with a show at 11pm. With how strict I normally eat, it's ok to cheat once in a while when I go out. I know that everything I eat is a choice, not a confinement. I've tried so many diets through the years. My weight has been up and down like a roller coaster. Finally, I've found a moral implication in my diet. Living a life of compassion motivates me and inspires me to be a better person for myself and the world. Malatesta is more difficult than your average opera role because you have to have many different faces--it's a real "faccia doppia". Those faces seem to change with each production. The acting is a challenge, but vocally it's straightforward bel canto. This role is suited to a lyric baritone with solid coloratura. Although it's not an overwhelmingly gratifying role, I enjoy singing it because it's a real team effort. It's an ensemble piece and you end up becoming very close with your colleagues, out of art and necessity. 4. What does the San Francisco Opera mean to you, having come through the Merola young artist program and the Adler Fellowship Program at the San Francisco Opera? The San Francisco Opera is my home. I walk in that house and shake hands with 20 people before I hit the rehearsal room. I feel well-respected and well-loved, and it's a two-way street. I couldn't be happier that Matthew Shilvock and Greg Hinkel are working there, since they're both dear friends of mine. 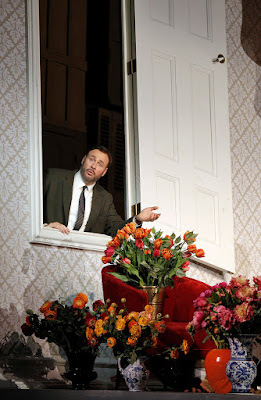 One of my most cherished accomplishments in San Francisco was singing "Barber of Seville" as a Merolini in 2003 and then returning ten years later to sing it on the main stage. The SF Opera is one of those gold standard opera house. It's the kind of opera house you wish other opera houses could be. It's when all of the elements come together to make a truly fulfilling artistic experience. From the general director to the stage management team, from the security guards to the orchestra members, each factor is world-class. Artists leave knowing that they have participated in something truly outstanding. Our 10th Anniversary "Barihunks in Bed" calendar is now on sale and available by clicking on the Lulu button below. 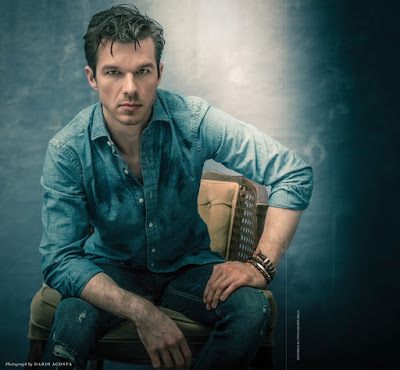 When we first met Malte Roesner in France last year, he was singing as a baritone and wrapping up a decade long run at the Staatstheater Braunschweig (State Theater of Brunswick). Since that time, he has gone through a fach change to bass and recently came to California for a series of coachings and auditions, hoping to make his U.S. debut in the near future. 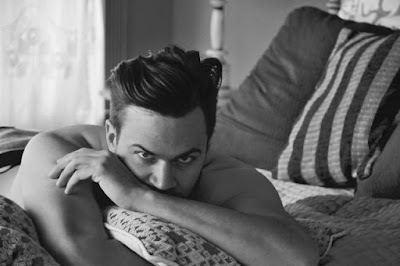 He is featured prominently in this year's calendar, "Barihunks in Bed," and it's his gorgeous face that graces the cover. We asked him a few questions about this newest stage of his career. 1. What prompted the fach change? I have always had an extension in the bottom of my range that is unusual for a baritone, and I remember that when I was studying, I had to be mindful not to cover and transition into the passaggio "too early“. But, then again, at 20-something years old my timbre seemed too bright for a lower fach, and, after all, I had the top notes. So I started my career as a baritone at the Brunswick National Theater and sang 55 roles there over the course of ten and a half years. The older I got, the harder it became to maintain the high baritone tessitura. Regardless, if you are hired for a certain repertoire in the fest-system you, of course, have to sing it. After I left Brunswick, I took some time to refocus on technique and come back to my natural voice. Because a singer's identity is often tied to his or her voice-type, it didn't even occur to me to try out bass repertoire at first. It took my voice teacher telling me to just bring absolutely anything I wanted and felt comfortable with to my lesson for me to start experimenting with lower repertoire. I started with bass-baritone arias, but as my voice started to relax into the new range, I also added in real bass repertoire. One of the first low bass arias I worked on was Sarastro, because I remembered a rehearsal for a Magic Flute revival – I was singing Papageno – where I jokingly sang a few of Sarastro's lines down to the low F in the first finale. Afterwards the Monostatos came up to me and told me that it sounded as if I was actually more at home down there. 2. What are you working on for rep? Six months is not a long time for a fach change and my voice is still settling and my timbre still darkening. So I am trying to stay open minded about what to sing and just take the cues from my voice, but basso cantante seems to describe it best at the moment. For my first auditions I combined some bass-baritone repertoire, like Figaro and Pizarro, with real bass repertoire, like Don Basilio and Sarastro. This seems appropriate since even some of the greatest basses of the past, e.g. Ezio Pinza or Cesare Siepi, (I am honestly just looking at rep and not comparing myself), used to straddle the fence in their youth – youth of course being a very relative term for a bass. Recently a friend of mine and two great coaches that I had the chance to work with in California gave me a few recommendations. Some of my next projects are going to be Kaspar from Weber's Freischütz, Boito's Mephistophele and Floyd's Susanna. 3. You recently came to California. Tell us about your visit. Except for the the top-tier, the European and the North American opera-worlds are quite separated. I am in the rare situation that, because I was born in New York to German parents, I have dual citizenship which allows me to work in both areas without a visa. This is why ever since I started singing professionally, I had the plan to one day also sing in the US. When a patron and Barihunks invited me to California for an audition tour, I of course jumped at the chance. In September, I had the opportunity to prepare my very first auditions in San Francisco and Los Angeles as a bass. with some of the best coaches I have ever worked with, and then audition for a couple of great companies in the Bay Area. Leaving the practice room for the first time after such a transition can be daunting, so I am really happy about the very positive feedback that supports my decision for the fach change. But of course my month in California was not just all work. I fell in love with the Bay Area; exploring San Francisco, Oakland and Berkeley, and spent more time wine-tasting with a former sommelier as my guide in the wine country than I would like to admit (note to self: it's good to be a bass). I tasted amazing food from all over the world. Most notably, I had the chance to eat at one of the restaurants of Dominique Crenn, the highest rated female chef in the world. I got to hear great opera and a concert that merged Jazz with classical and northern African influences. I spend time in museums, thrift stores and spas, in nature, on a ferry and on a roller-coaster. I went to a baseball game and a drag show with Latrice Royale. I even got to have lunch with Jake Heggie and talk to him about my translation of one of his operas (For a Look or a Touch) and he turned out to be an extremely nice guy. After an injury a few years ago, I unfortunately had to stop training martial arts for a while. I started doing a work out method called EMS (Electro Myo Stimulation) instead that is unfortunately not FDA approved in the States yet. I used the fitness-level I got there to start testing my limits and tried all kinds of things. I built some muscle-mass with squats and barbell complexes and then I got really lean with HIIT (high intensity interval training). At the moment I am more interested in functional fitness. 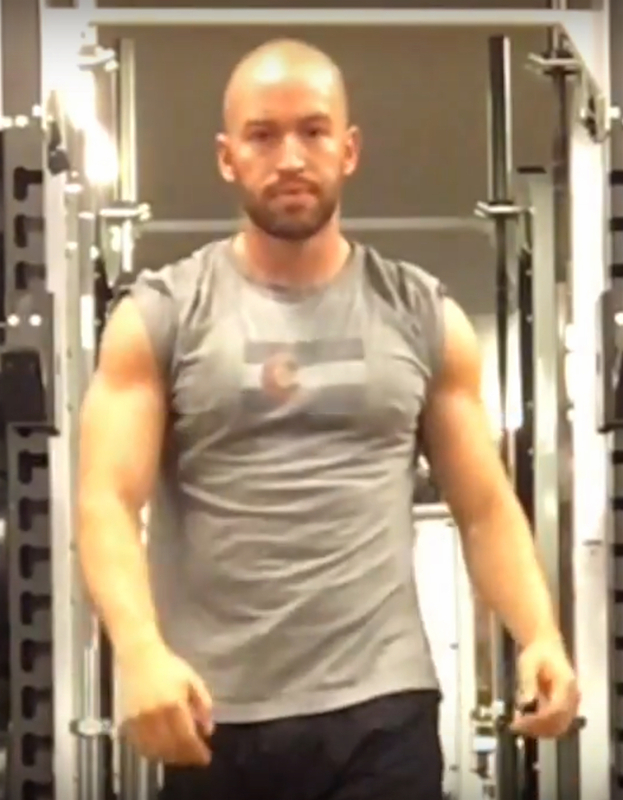 I do heavy multi-joint barbell lifts for strength, kettlebell and bodyweight HIIT workouts for conditioning, and some yoga; because yoga is just good for you. For me, the combination of these methods covers all aspects of fitness I need for my well-being. The dynamic full body workout with kettlebells and the gentle strength and flexibility gained through yoga seem to me especially ideal for singers, seeing as both work with the breath. 5. Is it really "All about the bass"? Well, I guess in opera it often seems as if it were all about the soprano and the tenor, but that is OK. I love the roles that might be coming my way and I love how the new fach feels in my body. Maybe it has to do with the fact that while I was singing as a baritone, the tessitura was high relative to my passaggio and my range. I had this whole lower part of my voice that I never got to use. Now I am just discovering the relaxation and opening needed for the extreme low notes. Most other voice-types have their money-notes in the top. Only a bass is truly measured by his low notes. Especially as a recovering baritone, the top is not an issue for me. You can enjoy more pictures of Malte Roesner in our new "Barihunks in Bed 2017" calendar, which is available now. Simply click on the LULU button below. Based on E.T.A. Hoffmann's well known story The Sandman (1815), Andrea Lorenzo Scartazzini and the librettist Thomas Jonigk combined essential elements from the story with creepy, romantic motifs for their opera. Nathanael's state of being, a psychotic trip in the homelessness of one's own self, is depicted in ten scenes. To him the sinister seems, in a Freudian sense, a chimera which shines light upon the known and surpressed. Jonigk's figures are our contemporaries: they speak our language, know the feelings of self doubt. The story of E.T.A. Hoffmann and his conflict between artistic dreams and reality is not new to opera goers, with Offenbach's The Tales of Hoffmann and Hindemith's Cardillac being the best known. Other adaptations include Busoni's Die Brautwahl, Alfred Thompson's The Girl with the Glass Eyes, Adolphe Adam's La poupée de Nuremberg, Walter Braunfels' Prinzessin Brambilla and Jacques Offenbach's Le roi Carotte. 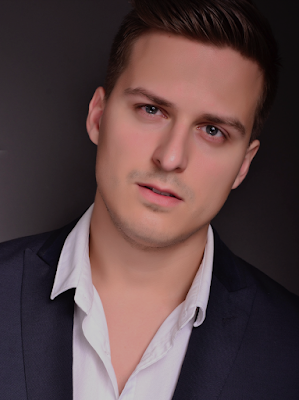 The cast also includes barihunk Daniel Miroslaw, who appears as Lothar. Tickets and additional cast information is available online. Our 10th Anniversary "Barihunks in Bed 2017" calendar is now on sale. It's available by clicking the Lulu button below.